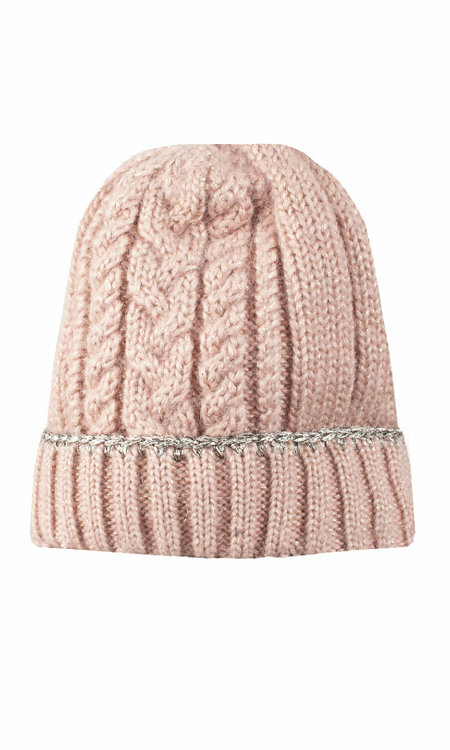 Warm, stylish knit hat with a comfortable fit. Contrast color in gold. Available colors: creme, pink and grey.